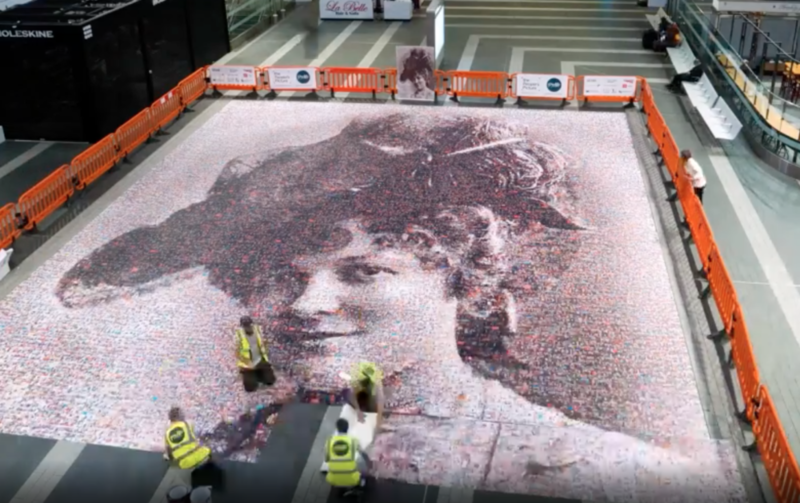 Timelapse footage has captured the moment a giant mosaic portrait of suffragette Hilda Burkitt was put together at Birmingham New Street station. Made up from more than 3,700 individual photos, the “Peoples Picture” featuring a #faceofsuffrage mosaic has been installed at New Street Station in Birmingham today. The 20m (65ft) image is made up 3,724 selfies and other photos of women sent in from across the UK. The project, titled Face of Suffrage, is the brainchild of artist Helen Marshall and marks 100 years since the first British women voted. The Face of Suffrage will remain on display until 14 December.